There’s no fantasy – just realism, with a sprinkle of hope. Hat and photo by me. For the past two years, I’ve participated in Zoe Brook’s annual blog-hop. This year, life got complicated. However, I put my name on the list, hoping by the time late July came around, life would have stopped wobbling, and I’d be writing again. Well, things have settled down (a little) but I’m still not writing. Haven’t written for about five months. 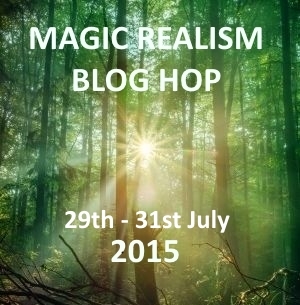 And it’s now late at night on the 31st July, and this year’s Magic Realism Blog-hop is coming to an end. So it’s now or never. But how can I write a post when I’m still dealing with so many huge changes (aka chaos)? Perhaps it can be done with magic realism. If you’ve ever read some of my previous posts on magic realism, or comments in online groups, you’d have noticed that I’m a tad protective (aka pedantic) about my favourite literary mode. That’s not a typo. Magic realism is not a genre. And it’s certainly not fantasy. I will let Glen Guest, a first-time Magic Realism Blog-hopper, explain why its a literary mode. And as far as discussing why magic realism is not fantasy – that will have to wait. I’m only just coming out of this fog I’ve been in. I’m just not capable of theories, fancy words and deep discussions right now. I can’t possibly write coherently about magic realism; a difficult, intangible, mostly misunderstood subject. Rather than withdraw from the blog-hop, I’ve decided to apply magic realism to steer me further out of the fog. If, as I’ve argued many times, magic realism is about meaningful aspects of life, both the micro and macro of ordinary and extraordinary lives, and a safe way to talk about difficult moments in shared histories – then why not apply this literary mode to what’s happening in my life? Autobiography, with a touch of magic realism. As it’s a literary mode, and not a genre, then this is possible. And doing so would also serve the purpose of personal healing, not just allow me to meet a writing commitment. And with that, I will now crawl back under my warm bed-covers, to the safety of my ship on a sea that is beginning to calm, now that this latest storm has passed. 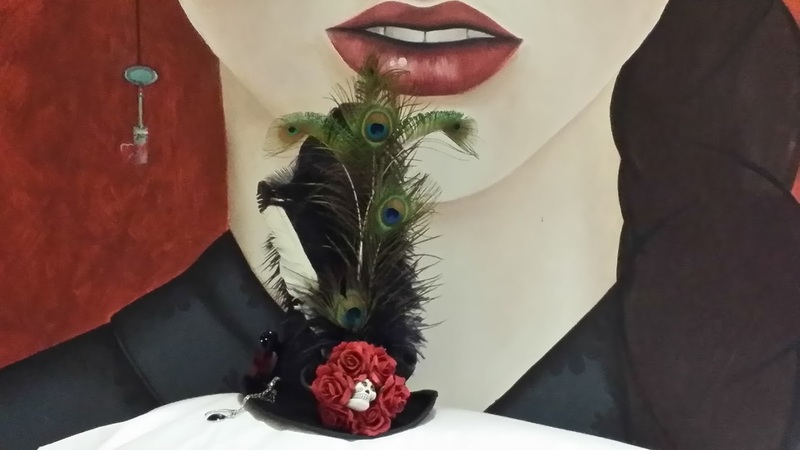 If you’re wondering about the hat in the above photo: I made that recently for a Mad Hatters social event, that my work colleagues and I attended. After weeks of sorrow (massive job losses at work, loss of role models, death and illness in the family etc), I just didn’t know how I could muster the right energy to attend a social event. Knowing a break would do me good, but still immersed in grief and loss, I made my own hat. It has symbols relative to loss and hope, death and life: skull (death), snake (life), rose (beauty), moon charm (creativity), Star tarot card (hope); and feathers of a peacock (luck), willy wagtail (trickster), eagle (guidance), and raven (wisdom). Dressed wholly in black, I wore my hat with pride and danced off some doom & gloom. This post is part of the Magic Realism Blog Hop. Over twenty blogs are taking part in the hop. Over three days (29th – 31st July 2015) these blogs will be posting about magic realism. Please take the time to click on the button below to visit them and remember that links to the new posts will be added over the three days, so do come back to read more. Next Post: And begin again……. That was some awesome writing in that eulogy. Strange how something good comes after something awful, isn’t it? BTW…that’s the coolest hat I’ve ever seen!